The bikes will be auctioned by Bonhams next month, with all the proceeds going t o children's charity the NSPCC. The collection includes a 1968 Triumph Trophy 650 - estimated to fetch around £8,000 - and a Vespa dating back to 1962 worth around £3,000. Graham said: "T hese bikes have taken me on a lot of wonderful adventures up and down the country. As a parent, it seems fitting that they should be sold to benefit the NSPCC's important work in supporting and protecting children all over the UK." 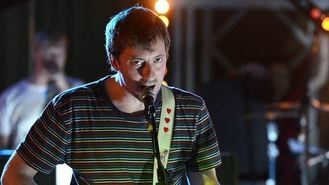 The musician left Blur in 2003, set up his own record label and released a string of solo albums before joining a reunion of the original line-up. The NSPCC's fundraising director P aul Farthing said he was "delighted" Graham had chosen to support the charity. He said: " The money raised will help us to continue our vital work helping to protect children and prevent abuse through projects and services including ChildLine. On behalf of all the vulnerable children we work with, I would like to say a big thank you to Graham for his support." The bikes will be sold as part of Bonhams Autumn Stafford Sale, an annual event taking place at the Classic Motorcycle Mechanics Show, on October 19.